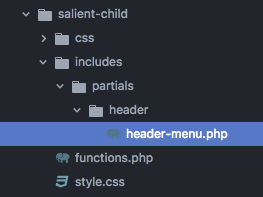 Out of the box, Salient’s menu styles will interfere with UberMenu due to significant residual styling. Therefore we will use Manual Integration to replace Salient’s menu system with UberMenu. We will also make some special configurations in the settings to make UberMenu and Salient integrate more smoothly. 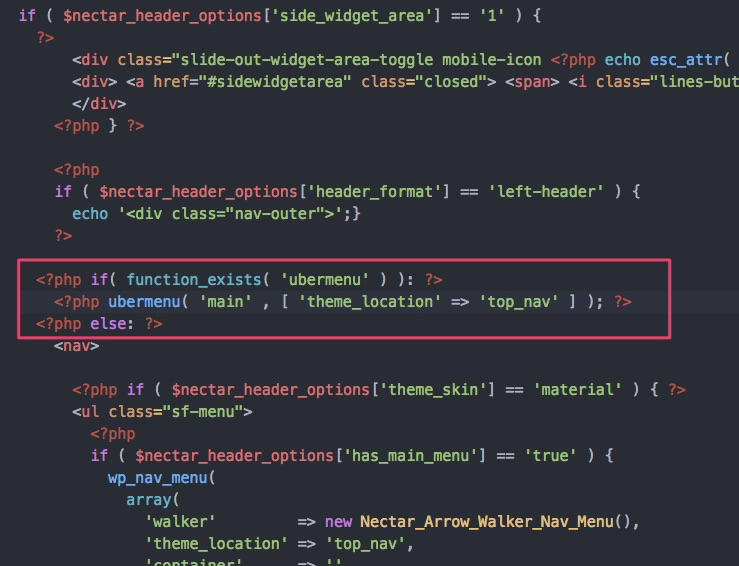 First we’ll replace the theme’s menu with UberMenu in the theme template files. Open the file you copied to the child theme and find the nav block to replace. This template is not commented, and their line numbers change frequently, and the nav tag doesn’t use a unique identifier, so it’s hard to be specific as to where you’re looking for. I recommend looking for these three markers so that you are replacing the right section. 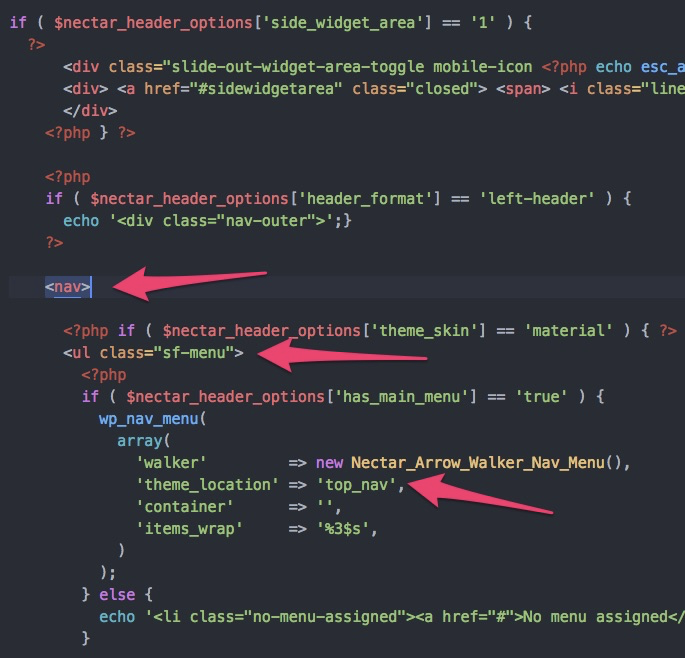 In Salient’s header.php, we will replace the existing menu with UberMenu. Note that this code may have changed, so you’re looking for this similar area, including the mobile toggle button and nav section. (Alternatively, you could remove the theme’s menu styles from its stylesheets, or alter the header to move the menu outside of the #top element. However, these routes are much more complicated and create more difficulties with future maintenance). You’ll also need to override Salient’s overly broad styles that apply to all Font Awesome icons and break the layout of icons from non-theme modules.